"You wanted me to fight?" The Match Factory has released a new official trailer for an Iranian drama titled A Man of Integrity, which first premiered at the Cannes Film Festival before going on to play at a bunch of other festivals this year. The film is about a humble, hard-working man who runs a goldfish farm on his property in a small Iranian town. He tries to keep his life and his business legitimate and clean, until the corruption surrounding him begins to put pressure on his livelihood. This trailer reveals a lot of the story, so watch out, but it's a very hard sell otherwise. The film stars Reza Akhlaghirad, Soudabeh Beizaee, and Nasim Adabi. I saw this film in Cannes and it's damn good, but also super depressing. It's a sad story of an honest man just trying to be good in an endlessly corrupt world. It's still worth it to watch a film from Iran. Reza (Reza Akhlaghirad), having distanced himself from the urban quagmire, leads a simple life along with his wife and sole child, somewhere in a remote village in Northern Iran. He spends his days working in his gold fish farm. Nearby, a private company with close links to the government and local authorities, has taken control of nearly every aspect of the regional life. It is under their pressure that many villagers have themselves become local rings of the larger network of corruption. Meanwhile, Reza strives to resist coercion and preserve his farm. Soon though, he will realize that he can no longer stand up to this powerful, yet hidden, coercive web of corruption. Giving up, he decides to sell his property and move away. 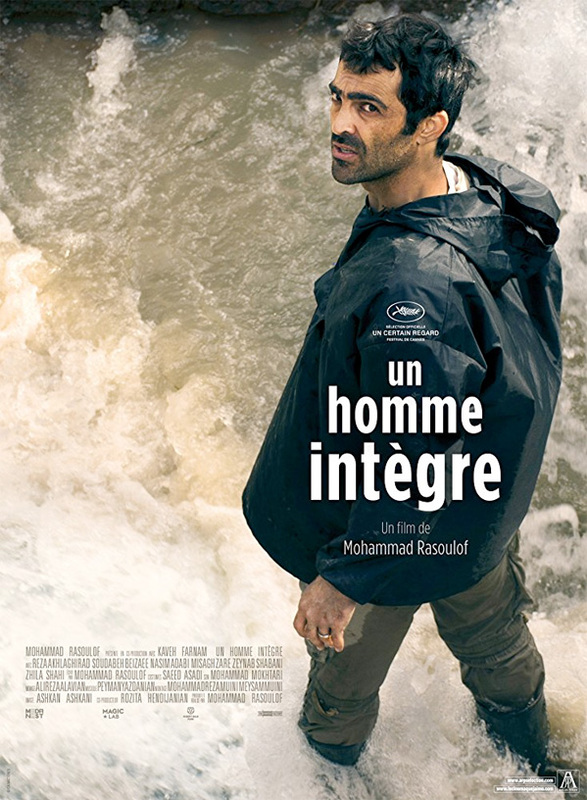 The Company however, decides to raise the stakes… A Man of Integrity is both written and directed by Iranian filmmaker Mohammad Rasoulof, of the films Iron Island, The White Meadows, Goodbye, and Manuscripts Don't Burn previously. This first premiered at the Cannes Film Festival, and also played at the Telluride Film Festival. We expect A Man of Integrity to open in select cinemas sometime in 2018. Good?